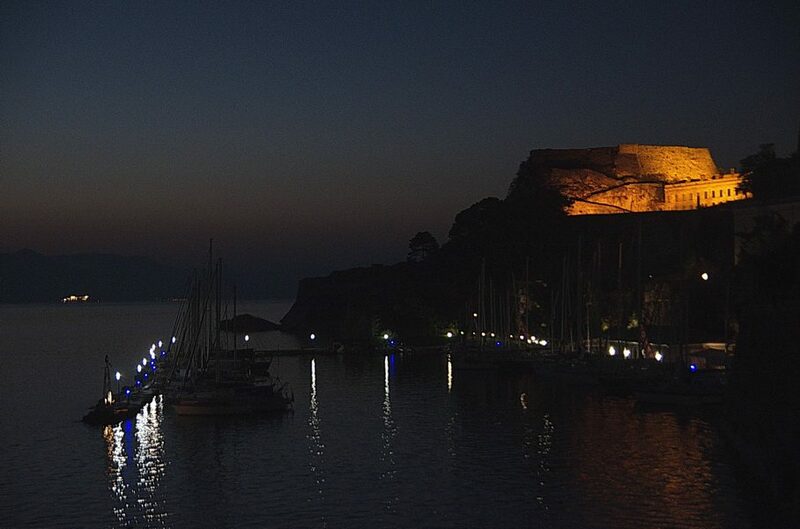 Campiello is the mysterious Οld Town of Corfu Greece which features some of the finest architecture in the entire island. Campiello Corfu, part of a UNESCO-designated World Heritage Site, is an atmospheric labyrinth of narrow, winding streets, steep stairways, and secretive little squares. Washing lines are strewn out like banners across opposing balconies where those living there could quite easily shake hands across the street. Small cobbled squares with central wells and watched over by old churches add to the quiet, mysterious, and utterly charming urban space. If you enter the old town of Corfu, you’re almost sure to get lost, but the area is small enough so that eventually you’ll come out on one of the major streets, or on the sea wall. Today many of the once wonderful houses may be crumbling but they still preserve the original Venetian motifs and mouldings on their walls or doors and they definitely maintain their mystic charm. Terraced gardens, balconies, shrines, churches, tavernas, bistros and shops in every corner add to the seductive feel of the Old Town Corfu. 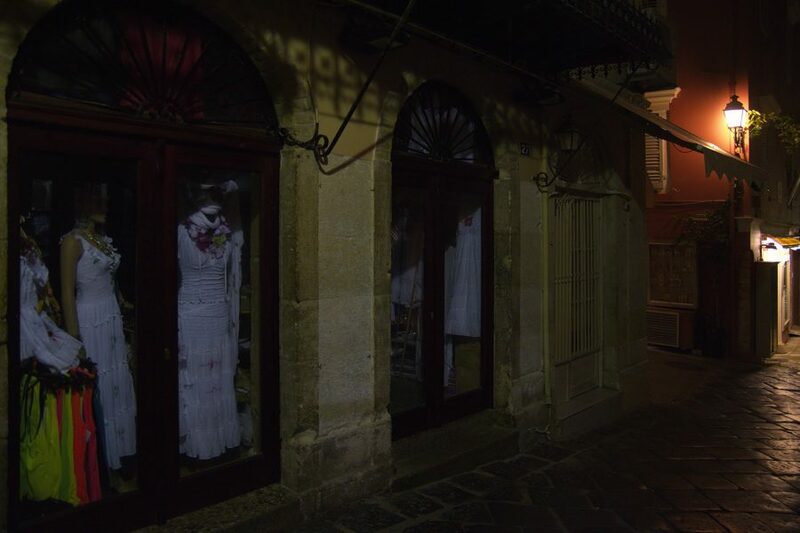 Another notable landmark in Campiello Corfu is the central market. The most interesting street here is Nickiforou Theotoki where you can view the building of the Ionian Bank, which was built in 1846 displaying a well-proportioned facade with finely detailed Ionian pilaters and pediment. On the first floor of the building the Paper Money Museum is housed. In close proximity you can also find the Church of St. Spyridon which shelters the body of St. Spyridon, the patron saint of Corfu and one of the great Saints of Greek Orthodoxy.